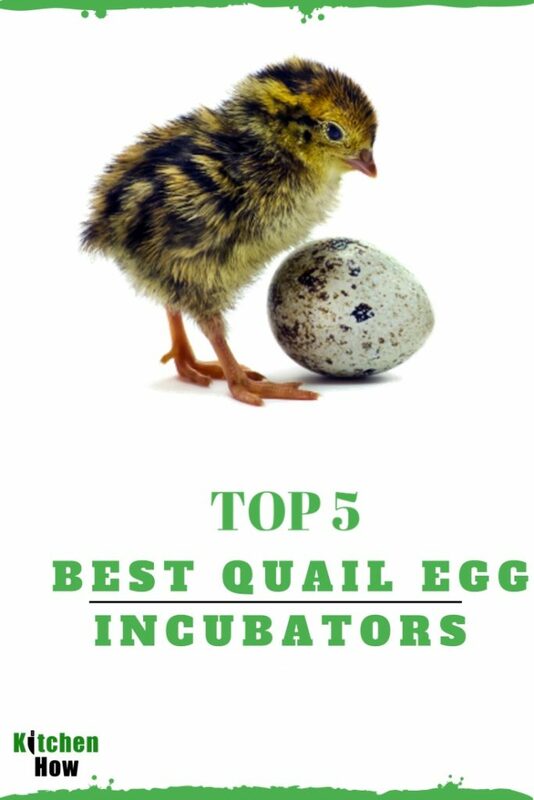 How To Incubate Quail Eggs-Top 5 Best Quail Egg Incubators Reviews? ​Again, make sure the eggs are fresh. You want to have an incubator that can contain as a many or all your eggs, that can maintain a certain temperature and humidity level, and can provide adequate air circulation. For a quail egg, the temperature should be kept at about 100 degrees Fahrenheit, with a humidity level of up to 55% during most of the incubation. ​The eggs should be placed with the more rounded end of the egg slightly elevated. Monitor the temperature and humidity with a thermometer and hygrometer respectively and the humidity can be maintained by adding water to the bottom of the incubator but be careful not to allow and water get on the eggs. ​The number of days it takes to hatch a quail egg depends on the type of quail but it is between 22 and 25 days, however, the Pharaoh quail egg can take only 17 days. When reaching 3 days before your quail eggs are due to hatch, stop turning the eggs and raise the humidity to 80%, this helps the chicks from sticking to the shell. The temperature should be reduced to about 99.5 degrees. If using and automatic egg turner, remove it. ​It comes with an inbuilt digital thermometer and hygrometer and has a see-through cover for observation. The temperature comes preset to 99 degrees Fahrenheit and this can be adjusted. 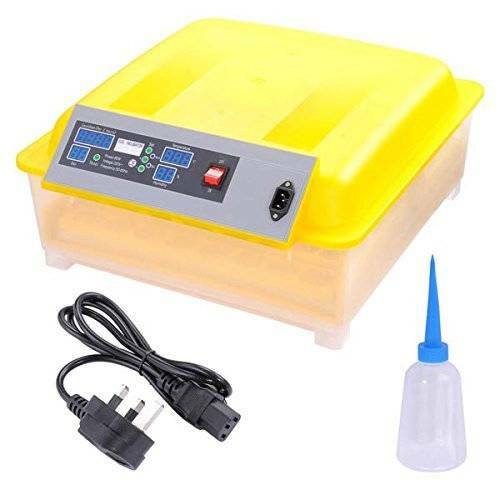 When humidity changes, water can be added by opening the incubator and pouring it in, although there is the possibility to drill a hole at the bottom to prevent opening the incubator and losing heat. ​It has large viewing windows, built-in circulated fan and a plastic cover. It is 18.9 x 18.3 x 6.8 inches and 5 pounds. The main problem is that the temperature regulation has been faulty but this issue can be fixed by getting a thermometer and hygrometer. This incubator is made of styrofoam lining which is not as easy to clean as plastic. It also does not come with an egg turner although one can be fitted in. ​This incubator has plastic constructing, transparent viewing and built-in humidity usage and automatic control, and a built-in tracker to keep track of the days. It can also fit in about 35 to 40 quail eggs. Although the temperature comes preset at 99.5 degrees, it can be adjusted. It has a digital display to allow temperature and humidity monitoring and an inbuilt egg turner that gently rolls the eggs six times a day. It is easy to use and easy to clean.